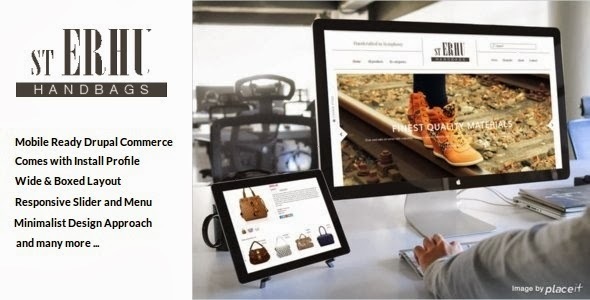 Erhu is a clean Drupal Commerce theme with a design style towards the fashion industry, such as clothes, shoes, accessories stores. We use the minimalist design approach, and it perfectly enhances the product displaying. Simpler but more elegant, high-end and attractive. - Based on Omega, one of the most popular Drupal base theme. Item Reviewed: New Responsive Drupal eCommerce Theme 9 out of 10 based on 10 ratings. 9 user reviews.